The Care Act Part 2 proposed a number of measures that would have had far-reaching consequences for local authorities and the local care home markets for older people. This extensive report assesses these implications with findings fed into the government thinking on the risks to sustainability of the sector – ultimately influencing the decision to defer implementation until 2020. Underlying sustainability of the social care market for older people remains the key issue facing the sector, and is the cornerstone of the analysis conducted within this exciting new study from LaingBuisson. The social care funding crisis has for a long time been widely debated. 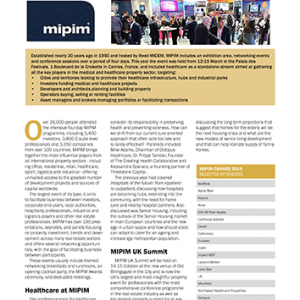 However, through ground-breaking profitability analysis and the innovative use of market dynamics modelling it is now possible in this study to predict the severe consequences for sustainability of the care home sector for older people, of current, accelerating adverse market trends. It is hoped that provision of this more robust evidence will pave the way for a full debate, between all interested parties. 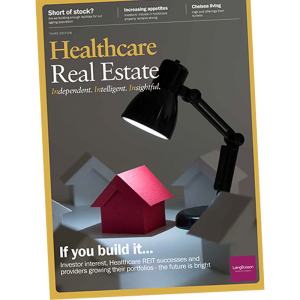 The implications of the Care Act have been overlaid on these changing market conditions to examine the additional, potential adverse impact and risks arising from key provisions in the Act. This has focused, in particular, on the implications of what has become referred to as ‘market equalisation’, resulting from the possible erosion of the differential between the high fees self-funders pay for care and the insufficiently low fees councils are paying for equivalent care i.e. 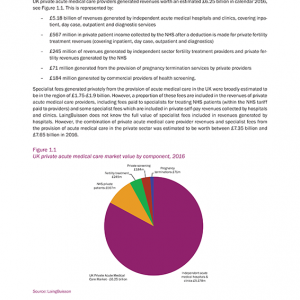 erosion of the significant cross-subsidies which exist in the care home market. 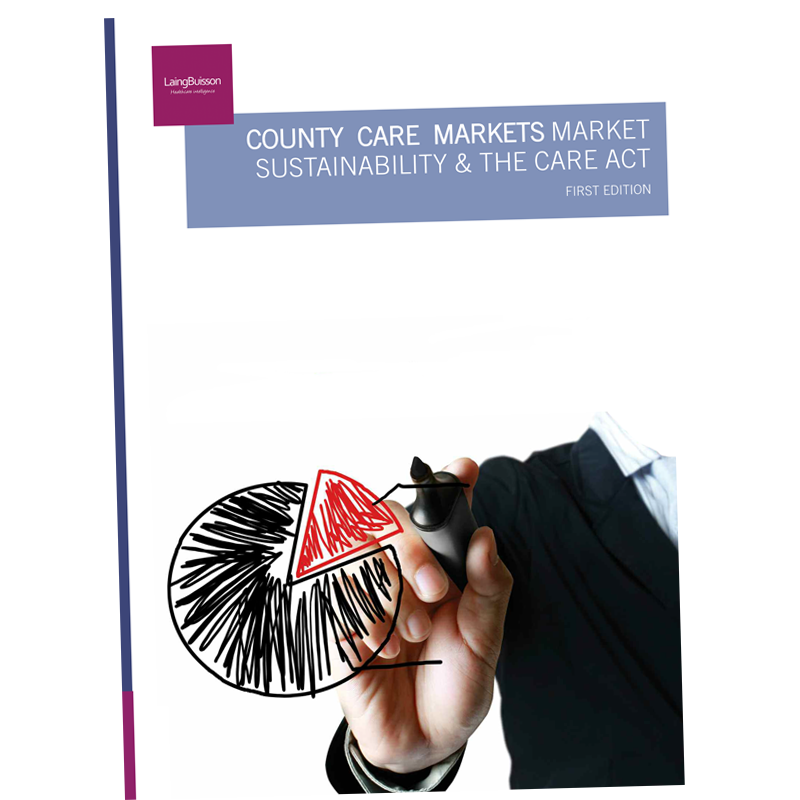 LaingBuisson’s Care Market Sustainability report presents the key findings from evaluation of the main financial implications of the Care Act 2014, for local authorities, providers of residential care and nursing homes, older people needing care, as well as for sustainability of the market. 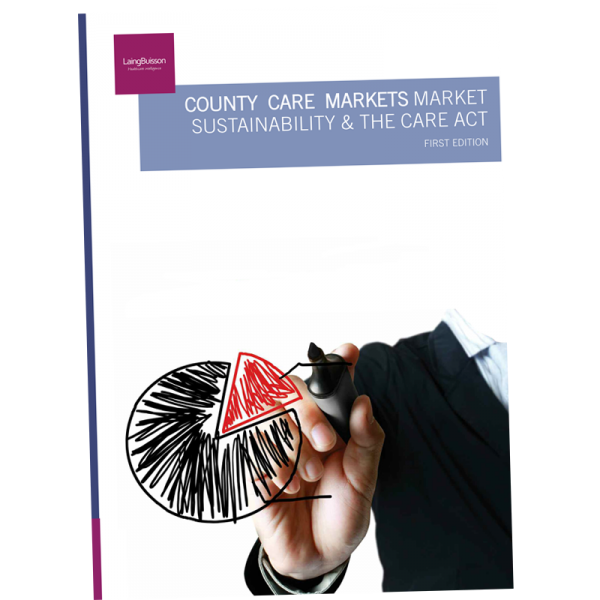 What Does Laingbuisson’s County Care Market Study Address & How? The approach adopted by LaingBuisson has been first to gain an incredibly detailed understanding of the care home market in each of 12 sample study areas, in terms of demand for and supply of residential and nursing care homes for older people. 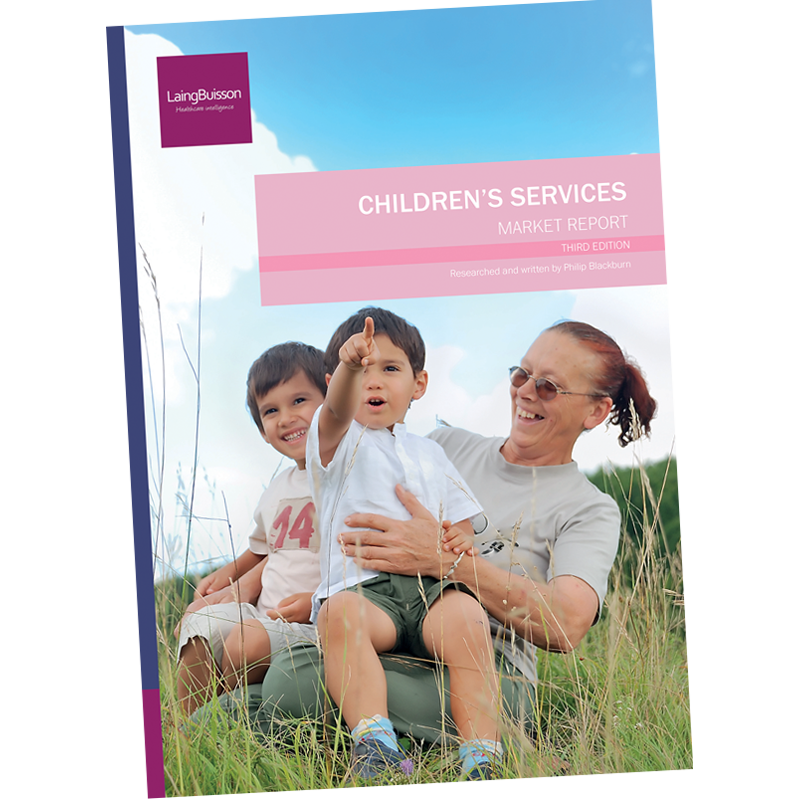 This work made full use of the LaingBuisson care home database of all facilities registered through the Care Quality Commission (CQC) – regularly updated for all changes, detailing all closures and new homes opening, with numbers of places involved, as well as providing the history of all changes, going back to 2005. This work was coupled with use of results from regular surveys conducted with providers of care homes, covering fee levels, the mix of funding (as between local authority placements, with and without top-up payments from third parties, self-funders and the NHS), occupancy levels, and other financial metrics. 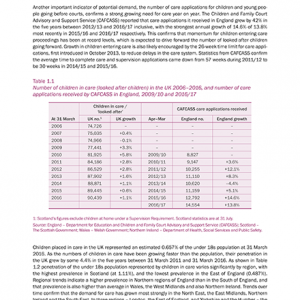 Data on occupancy has been used to derive historic ‘expressed’ demand figures, these essentially being the fulfilled demand, given historic care home capacity (it not being practicable to estimate any excess demand in the past, where people might have needed a place in a care home, but had to make do with care at home, if a shortage of places had occurred at any time). 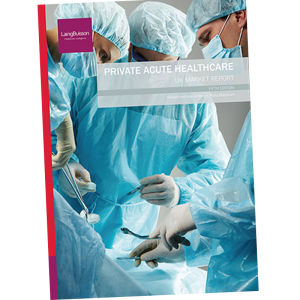 Cost and profitability data, from the latest LaingBuisson 2014/15 market survey of providers, and detailed existing profitability models were used as a starting point, to derive care cost benchmarks, for the provision of quality care home services, at economic and efficient levels. 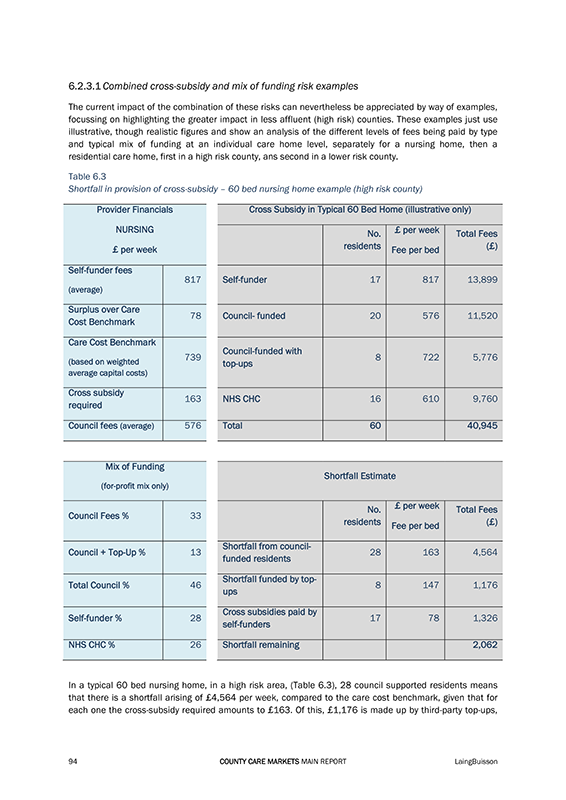 In addition, independent providers of care homes in the sample counties were asked to provide detailed analyses of the fees paid from all sources of funding within their care homes, enabling a comparison to be made between council fee levels and self-funder fees on a ‘like for like’ basis. 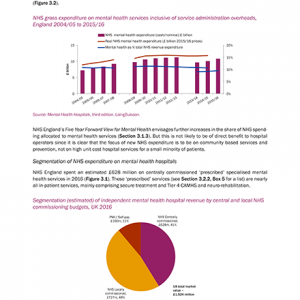 This fee data was then used to calculate the cross-subsidies which already exist as a result of the shortfall in council fees being paid relative to the full cost of care, as compared with the surplus which average self-funder fees represent, over the full cost of care. Coupled with historic data, a range of estimates and assumptions have been made about future demand and changes in financial parameters, such as fee levels and cost inflation, so as to provide the basis for developing projections for market trends. Future demand for care home places has been estimated based on movement in the demographics, using ONS (Office of National Statistics) data for population growth in the higher age cohorts (65-74, 75- 84, and 85 and over), coupled with understanding the relationship between the number of older people in these age cohorts within each county and the number of care homes places required. 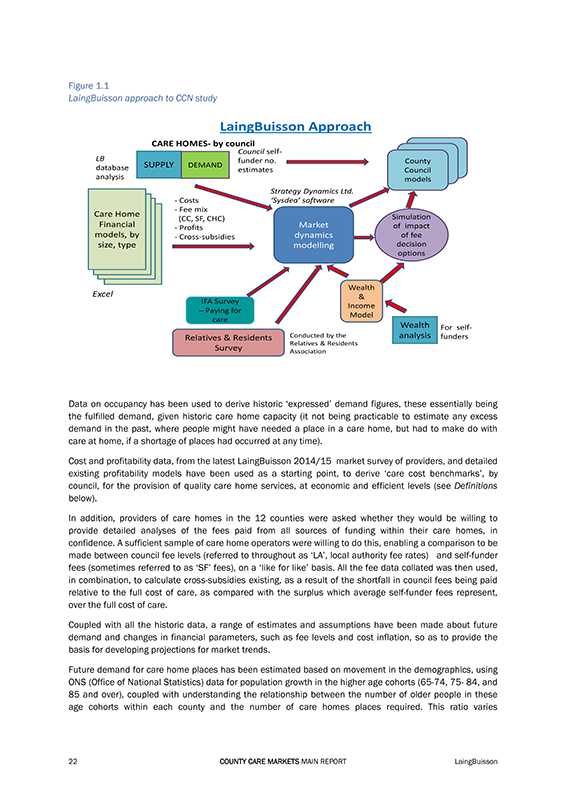 All this information was then fed into a unique Dynamic Market Model, based upon unique LaingBuisson algorithms capable of reflecting the impact of changes in demand and the key financial parameters, such as fee levels, on supply of adequate numbers of care home places, for the future. The expected relationships between demand, supply and price have been incorporated in the models, together with assumptions about when homes might close and what returns are needed to justify opening new homes. Market data has been supplemented by surveys undertaken to ascertain the views of relatives of residents in care homes, independent financial advisors (IFAs) and providers, concerning their attitudes to the Care Act proposals and implications, as well as their possible responses. 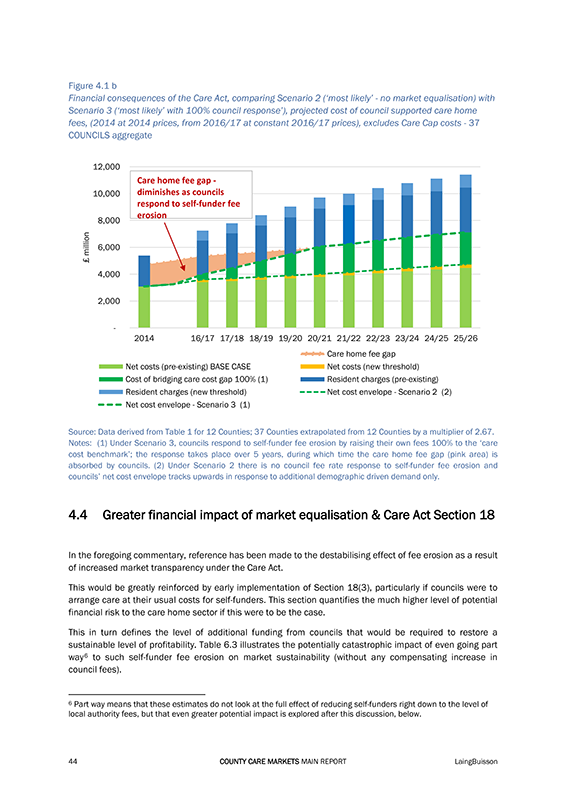 These views have been used to inform consideration of the implications from the Care Act provisions, assumptions formulated and the models then re-run, to predict the financial impact over time. Models have then been used to explore various scenarios about fee levels, and responses which might be made by councils and others to the impact of the Care Act provisions, as well as to the underlying sustainability issues within the market. A specially designed Wealth Model has also been used to consider levels of property and other wealth around the country to estimate the different impacts on the number of people likely to fall beneath the extended asset thresholds, as well as the impact this could have on both gross and net funding costs (after re-computation of the contribution people will make to the cost of their own care, through means tested financial assessments, through tariff income charges).